Overage protection is an added feature you can setup on your DaCast account. Once added, this feature ensures you will never run out of bandwidth. When you enable overage protection, DaCast automatically adds a pre-determined (by you) amount of GB whenever your account runs out. Overall, overage protection guarantees that your account remains active and that your streams never go dark! *Read more about how overage protection works, here: how-does-overage-protection-work-for-bandwidth/. On this screen, you can choose how much bandwidth to link to your overage protection feature. Note: this is the amount of bandwidth that DaCast will automatically add to your account in the event you run out. 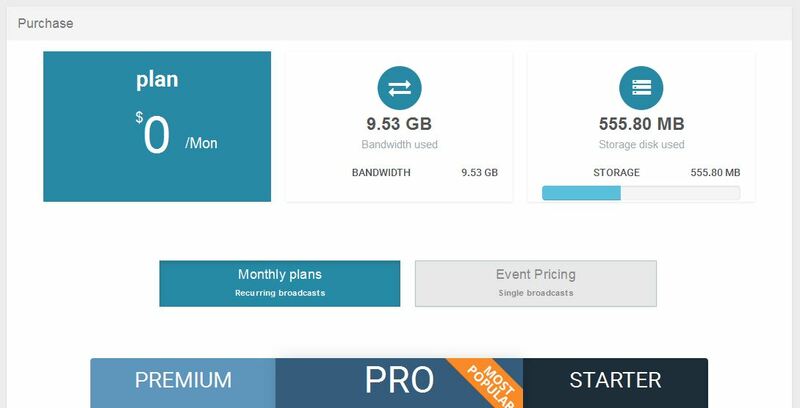 The price per GB of bandwidth is $0.25 / GB. Please note: If you select “No, Thanks” from the drop-down menu (shown above), this means that your Overage Protection is turned off. This is the second part of the overage protection setup. If you are already on a monthly plan, chances are you already have a payment method on file. You can click to change between methods that you already have on file and choose which one will be used for overage protection. 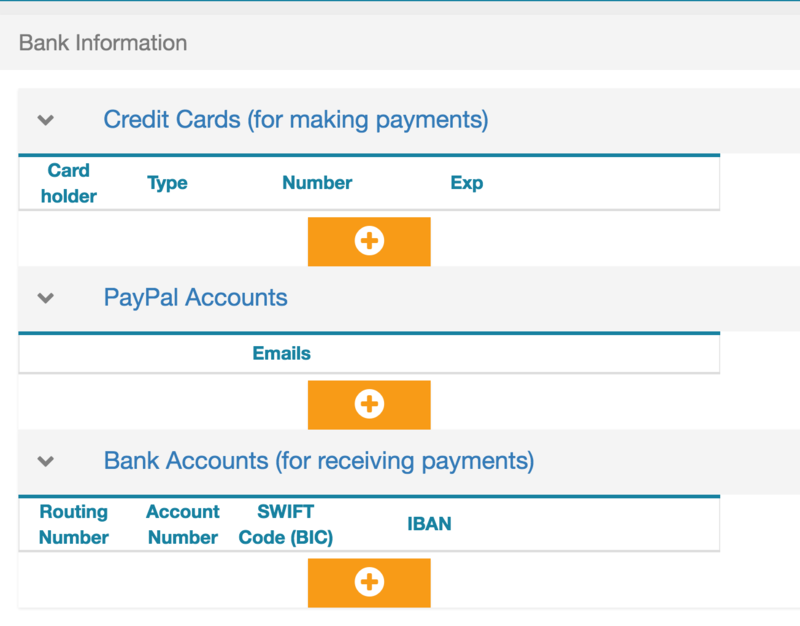 If you first need to add a payment method, click the BANK INFORMATION tab located above PURCHASE GB to the left. Once there, you can enter your credit card credentials to use with your DaCast account. After adding the card by clicking , your payment method will be one of the selection. You can now go back and select it to cover your account through overage protection. ​Please note that due to a system analytic delay, you might receive the bill 2-3 hours after you have run out. This will not impact your streaming. You will continue to broadcast during these 2-3 hours while the analytics catch up.